For thousands of years humans relied on natural roofs — made from sod, mud or straw — to keep their homes cool in the summer and warm in the winter. Today, “living roofs,” the next generation of those earlier thatched roofs, are slowly sprouting up throughout the U.S., primarily in cities where green space is limited and the benefits are more substantial. 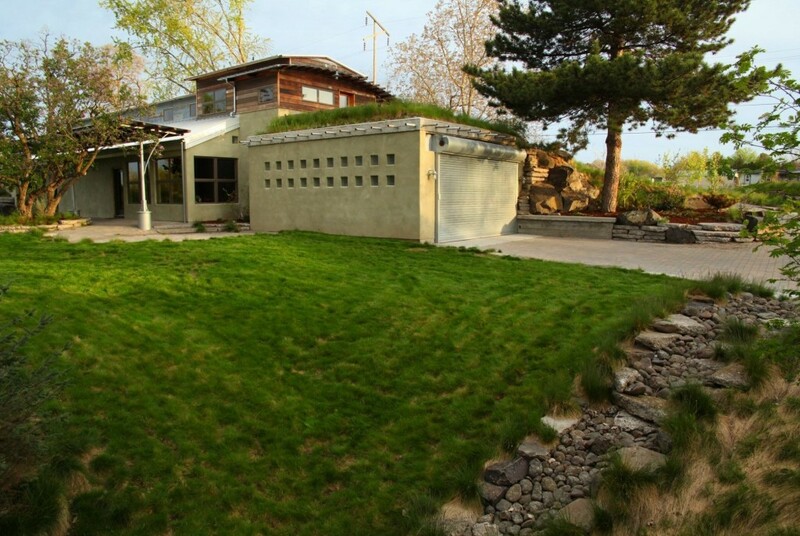 This recently sold home in Walla Walla, WA features a living roof. Alternatively called green roofs or vegetated roofs, living roofs are exactly as they sound: roofs that contain plants and a growing medium (special soil mix) rather than shingles, brick or asphalt. Living roofs can vary — from a lower-maintenance roof with drought-resistant plants or pre-planted modules to a roof set up to grow full grasses or gardens. Living roofs’ benefits are primarily environmental, especially in larger cities: The roofs can absorb water runoff, reduce the heat emitted by buildings, keep buildings cooler and offset carbon emissions. In New York, green roofs have been particularly embraced. New York City also needs solutions to manage water runoff. Each year, more than 27 billion gallons of untreated sewage enters the New York Harbor alone when stormwater runoff floods city sewers. The appeal of green roofs even led New York City Mayor Michael Bloomberg to previously offer one-time property tax abatements for owners who installed green roofs. And of course, adding green to the Big Apple’s concrete jungle is also appealing. “In New York City there’s not a lot of real estate left on the market, and it’s good if you can start capitalizing on the tens of thousands of rooftop space available, [something] that makes it so people can interact with a new sort of environment,” Brunner said. 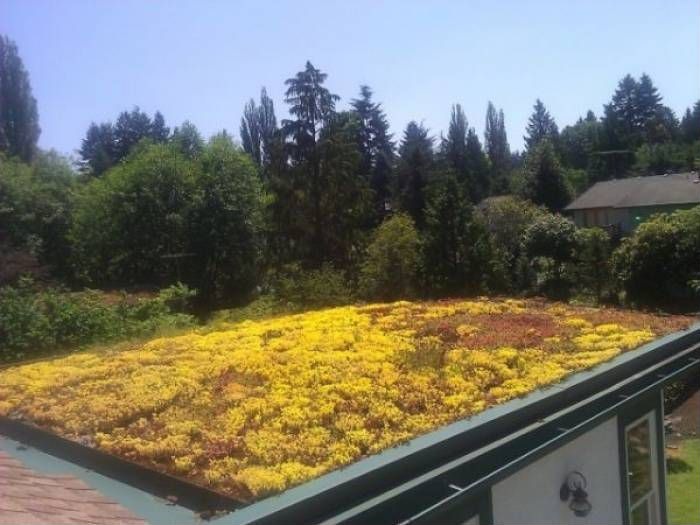 By far the biggest drawback of a living roof is the cost. According to the Environmental Protection Agency, costs start at $10 per square foot for simpler extensive roofing and go up to $25 per square foot. But most homes are not prepped for a living roof, and redoing the structure can drive up the cost even further. Different plants, such as the ones on this Charlotte, NC home’s roof, require varying amounts of maintenance. Shelton’s company installs roofs made of pre-planted modules that layer over a membrane and slipcover. As far as living roofs go, those don’t require a lot of maintenance. This Seattle residence has a green roof just on its garden shed. Ultimately, the green roof movement is in its infancy, Brunner and Shelton say. Brunner hopes that as the movement grows, the technology will improve and costs will go down.